Browse: Home / 2016 / May / Sci-Fi This Week: Agents of S.H.I.E.L.D., Legends, Grimm, and The 100 Season Finales! 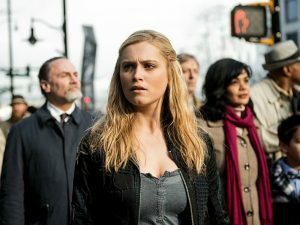 It’s May, and that means a stack of season finales this week! 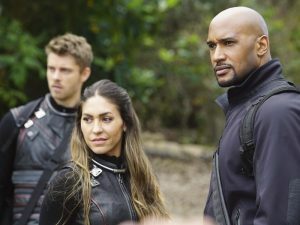 First up is the 2-hour event that wraps up the third season of Agents of S.H.I.E.L.D., as the team’s struggle against Hive reaches its end. 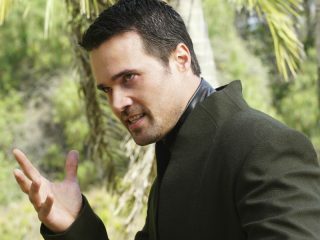 It’s been a strong season for the show … but does the end of the season finally mean the end of the road for Grant Ward (Brett Dalton)? 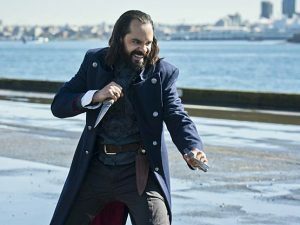 On Thursday Legends of Tomorrow closes out its freshman season as the team tries to put an end to Vandal Savage once and for all, while on The 100 Clarke and the others are confronted with a very different reality in the City of Lights. Grimm also wraps up this week with its own 2-hour event. 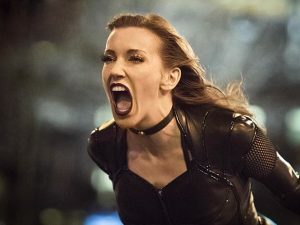 Also this week: Katie Cassidy — a.k.a. Laurel Lance — guest stars on The Flash, and the families face their greatest challenge yet as Fear the Walking Dead reaches its mid-season break. “A Legion of Horribles.” Hugo Strange welcomes a familiar face to Gotham after he resurrects Fish Mooney in Indian Hill. Later, Bruce discovers a friend is in danger and teams up with Gordon, Alfred and Lucius, while uncovering more of Strange’s experiments. “Bodies of Water.” In the present, Cassie and Jennifer Goines run from the 12 Monkeys. In 2044, Cole and Ramse face off against Deacon. “Invincible.” After Zoom unleashes an army of Earth-2 meta-humans on Central City, Barry is shaken when he sees their leader is the Black Canary’s Earth-2 doppelganger, the Black Siren. Meanwhile, Wally takes to the streets to help The Flash stop the meta-humans, which worries Joe. Iris and Henry are concerned about Barry taking on Zoom. ABC, 9/8c – 2-HOUR SEASON FINALE! “Absolution” & “Ascension.” It’s a showdown a season in the making as S.H.I.E.L.D. takes on Hive, and when his master plan is finally revealed, the team must spring into action. Who will live, and who will die? “Lost In the Flood.” Following the shocking events in the previous episode, Oliver and Diggle race to rescue Thea, while Felicity, Curtis and Noah join together to stop Darhk. “Legendary.” After the numerous sacrifices the team has made since the beginning of this ride, Rip decides that it’s time they each decide their own destiny and returns them to Central City a few months after they first left. Returned to their normal lives, each team member must individually decide if they are willing to sacrifice everything in order to save the world. The CW, 9/8c – SEASON FINALE! “Perverse Instantiation, Part 2.” In the season’s epic and mind-bending conclusion, our heroes begin to face the reality of their tragic situation. Everyone prepares for a final showdown. “The Scandal of Altruism.” When Cosima admits doubts about finding a cure in time to save her life, Sarah makes a lone decision that exposes Kendall to those she’s spent years hiding from. Meanwhile, Art and Felix team up to protect naïve clone, Krystal Godderitch, from herself. 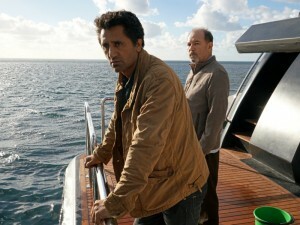 NBC, 9/8c – 2-HOUR SEASON FINALE! “Beginning of the End.” Black Claw makes a strategic move against Hank that shocks everyone and sends Nick on a war path. Hadrian’s Wall ramps up their investigation as they seek out a mysterious man named Bonaparte. Meanwhile, Adalind and Capt. 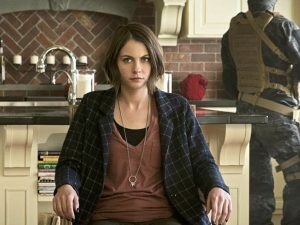 Renard must learn to deal with their new and very unpredictable reality with Diana. 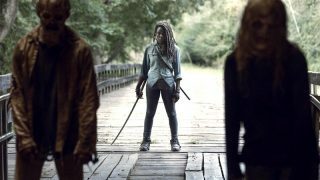 AMC, 9/8c – MID-SEASON FINALE! “Shiva.” The family faces their greatest test yet. Meanwhile, Nick, Madison, Travis and others go to great lengths to keep each other close. “The Door.” Tyrion seeks a strange ally. 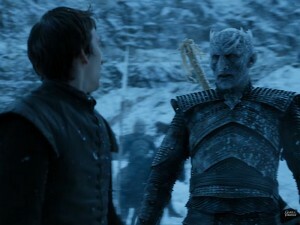 Bran learns a great deal. Brienne goes on a mission. Arya is given a chance to prove herself.